My name is Mike McCann, Owner and President of McCann Building Services Limited. I have been working in the residential and commercial building industry for the last 15 years. During my time in the construction industry I have built a team that includes outstanding designers, trades people and suppliers. I personally guide home owners through the process of their new home build, addition or renovation. Whatever the project, my team is committed to ensuring that our customers get the home of their dreams. 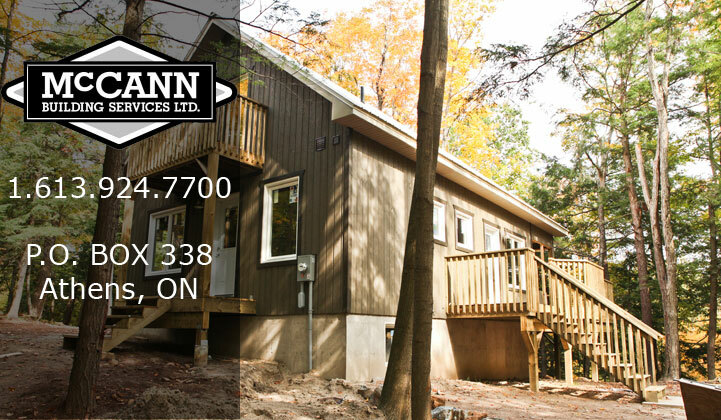 The team at McCann Building Services consists of licensed carpenters and skilled laborers. This group has worked together for many years. They take pride in providing quality customer service and craftsmanship. I encourage anyone who is interested in our company as their builder to contact us for a Free Estimate. 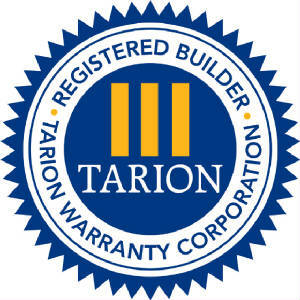 Our company is fully insured and is a member of the Tarion Home Warranty Program. My wife Kim and our two boys reside in Athens Ontario. Both Kim and I grew up in Athens and are happy to raise our sons in this great community. We have chosen to run our business here as it provides us with a central location in Leeds and Grenville County. This allows us to serve customers across our region.